Directing TONY® Award-Winner Wilson Jermaine Heredia and Eric Jackson in TALES FROM THE TUNNEL. 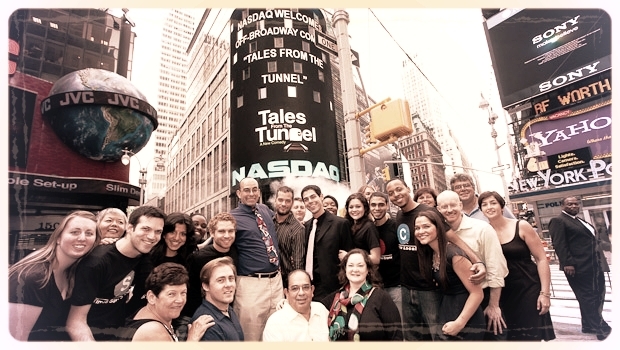 TALES FROM THE TUNNEL rings the NASDAQ closing bell. Four-time EMMY Award-Winning "The Simpsons" writer Mike Reiss and James collaborate on I HATE MUSICALS: THE MUSICAL, at the Ivoryton Playhouse.